SALEM—McNary simply ran out of gas, falling to Sprague 58-43 on Friday, Dec. 22 in its final game of the Capitol City Classic at Willamette University. Out-hustling the Olympians, McNary jumped out to a 9-2 lead. However, Sprague answered with six 3-pointers to take a 32-23 lead into halftime. The Olympians made three more 3-pointers in the second half to lead by as many as 18. 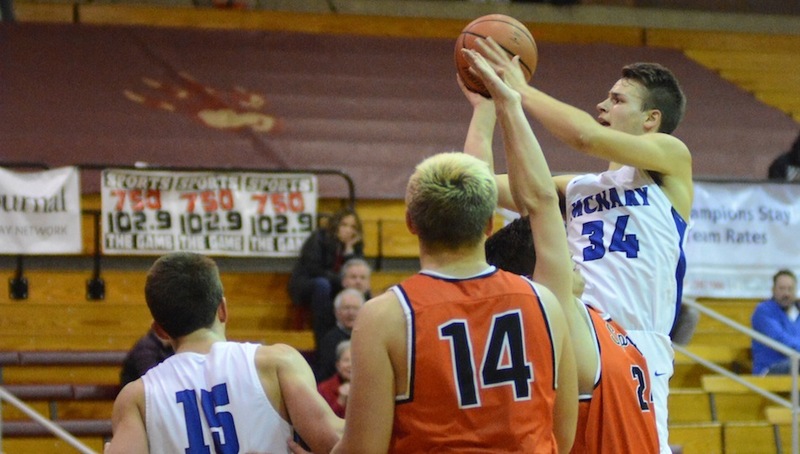 Chandler Cavell led McNary with 11 points. Noah Hudkins came off the bench to score nine points. Boston Smith finished with eight and Andrew Jones added seven. The Celtics opened the 16-team tournament on Monday, Dec. 18 with a 71-60 win over defending 6A state runner-up Clackamas. Cavell had 27 points and seven assists. Lucas Garvey finished with 11 points and Riccardo Gardelli added 10. McNary then lost to Woodcreek, last season’s state runner-up in California, 54-52 in overtime on Wednesday, Dec. 20. Garvey, who led the Celtics with 15 points, sent the game to overtime with a 3-pointer at the buzzer. Cavell added 12 points, six rebounds and four assists. McNary defeated Wilsonville 55-30 on Thursday, Dec. 21. Gardelli had 15 points and five rebounds. Garvey added 11 points, four rebounds and four assists. The Celtics host Tualatin on Wednesday, Dec. 27 and then play at Sheldon on Friday, Dec. 29. Both games tip off at 7 p.m. McNary’s next league game is Tuesday, Jan. 2 at Forest Grove.